Don't let yourself be intimidated by the mess glitter can create, just keep the Glitter Funnel and Brush Set by American Crafts handy! 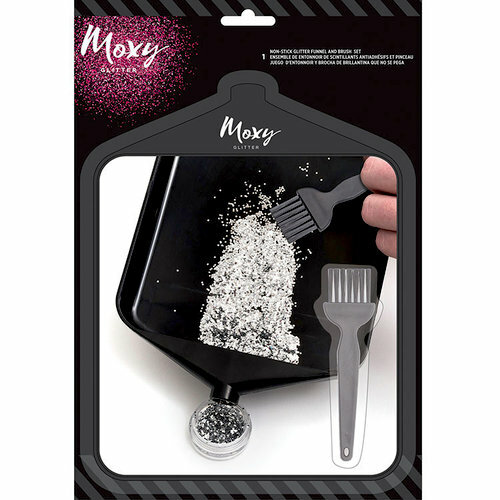 The package includes one Moxy Glitter funnel made of non-stick material for easy glitter transfer and a pouring spout to put excess glitter back in its container and one brush for easy cleanup. The package measures 8.2" x 10.8". 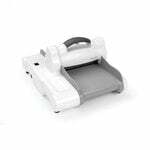 I actually bought this to use with my embossing powder and I think it will be a great tool to use! It may be able to do double duty with glitters as well as long as I clean the brush well between! I am excited to give it a try! 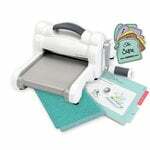 Embossing powders. I love it. A lot less mess too!! I have needed this for so many years, so excited to get this!